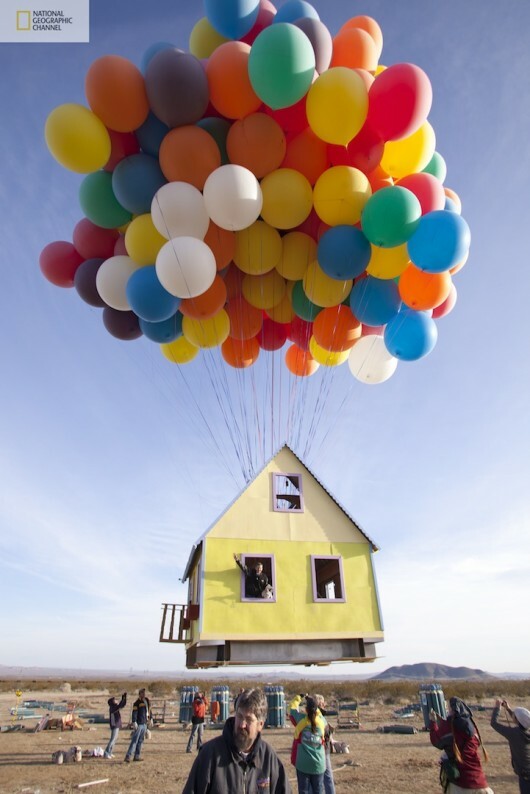 Pixar Floating House Comes to Life | Shelby White - The blog of artist, visual designer and entrepreneur Shelby White. 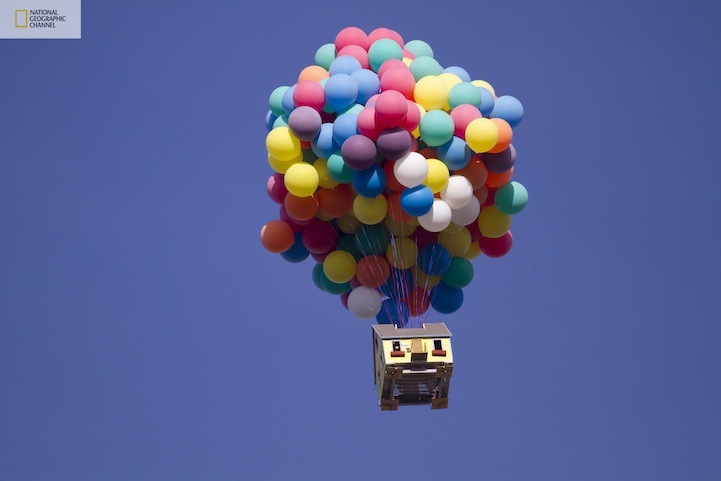 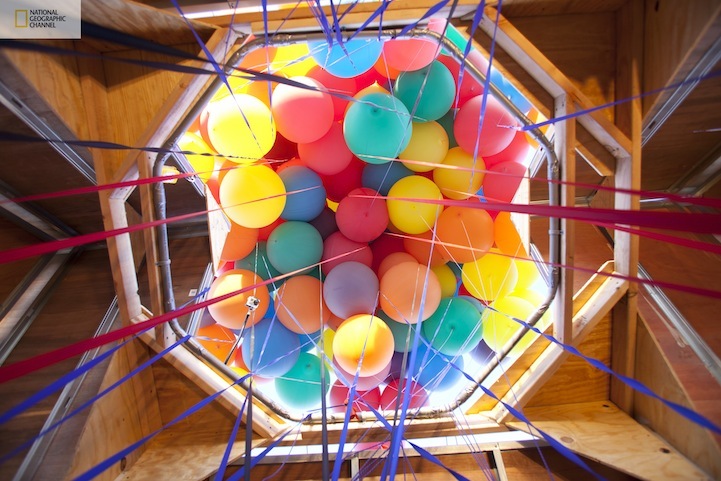 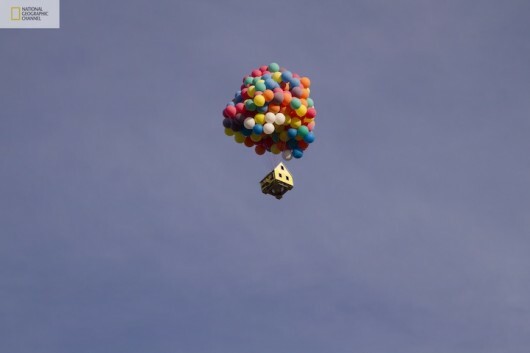 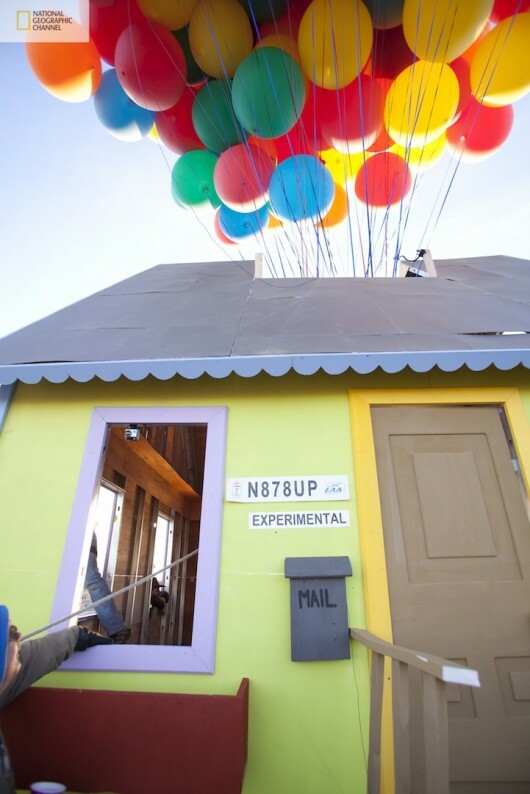 Pixar’s animated movie UP has inspired the makings of this balloon house. 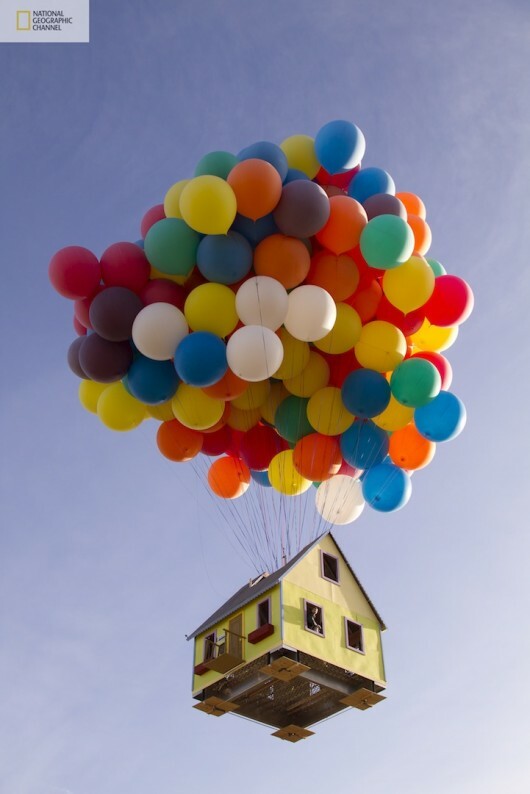 It may be slightly out of the typical range of architecture on the blog, but its safe to say this is truly unique; never has it been done before. 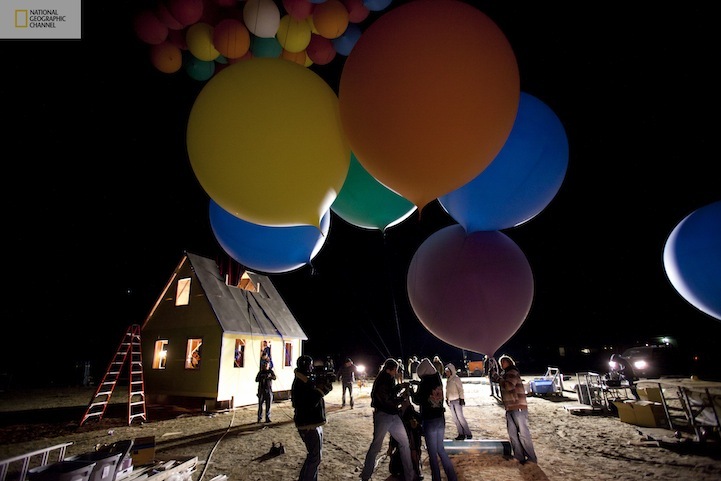 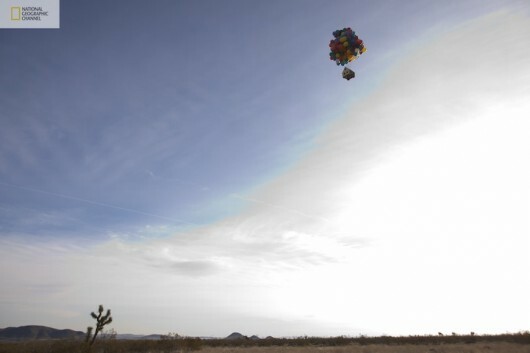 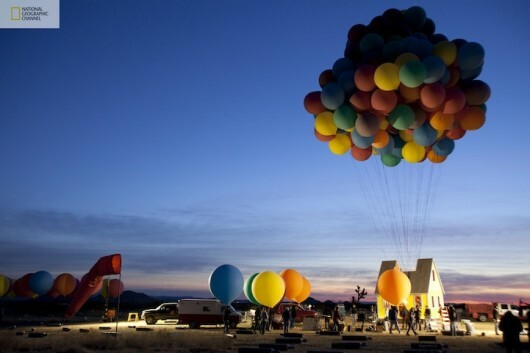 On the morning of March 5th, National Geographic Channel and a team of scientists, engineers and balloon pilots launched the 16 x 16 foot house with 300 8 foot balloons. 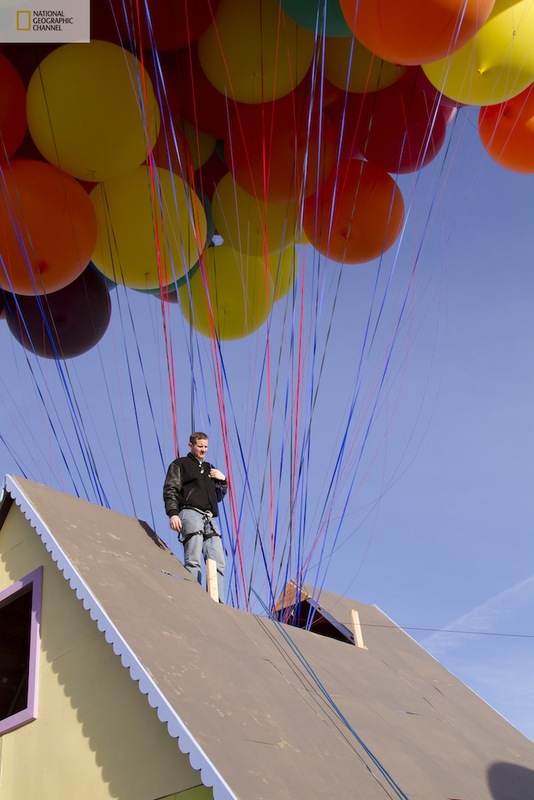 The house floated around for about an hour and reached an altitude of over 10,000 feet. 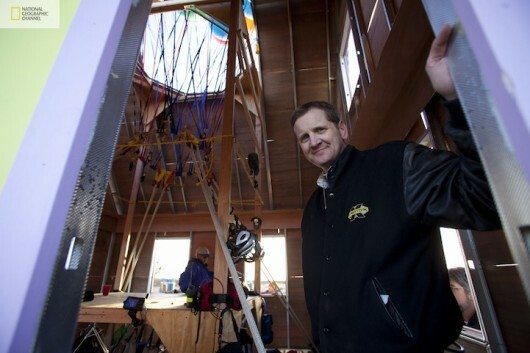 Look for more coverage of this in the fall of 2011 in a series called How Hard Can it Be.